This mint chocolate bark is perfect for the holiday season! 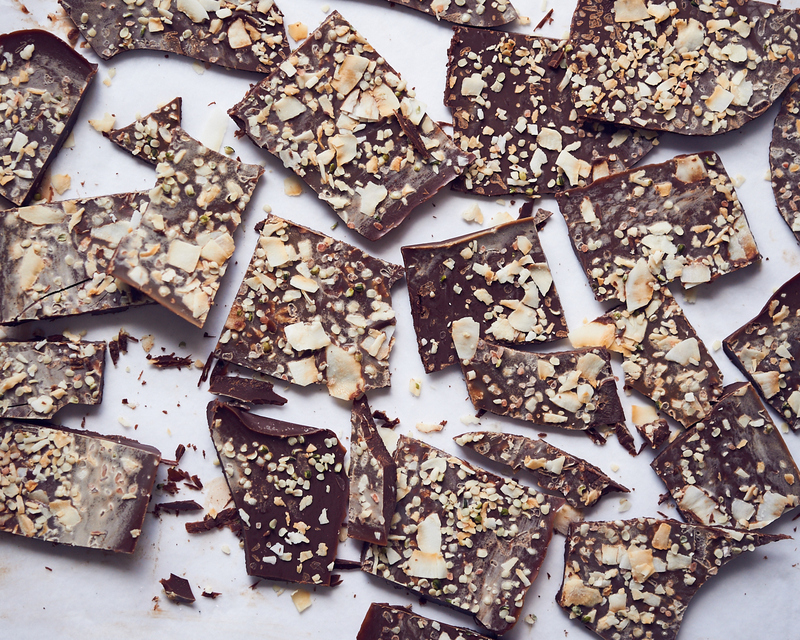 It actually can be easy to make your own chocolate at home, from scratch. This way you get to decide how sweet you’d like it to be and exactly what type of sweetener you want to use. For example, you could use coconut sugar or maple syrup. Or, you could even use stevia instead (just a few drops, add to taste) if you are following a sugar-free diet. Not only is peppermint helpful for supporting digestion, but it may play a role in brain health. A study presented at the British Psychological Society Conference in 2016 found that peppermint tea improved participants’ mood as well as long term memory, working memory and overall alertness. Peppermint also has anti-microbial properties and inhibits the growth of some types of fungus. We hope that you’ll give this recipe a try for the holiday season. Let us know if you do make it! 1. You’ll need to set up a double boiler with a small pot and a mixing bowl. Fill the pot about half way with water and heat on the stove. 2. Place the mixing bowl over top of the pot, so that the heat from the water warms the bowl. 3. Place the cacao butter and the coconut sugar in the bowl and let it melt. Stir with a spoon so that the coconut sugar melts. 4. Turn off the heat. Then add in the cacao or cocoa powder and stir to combine everything into a smooth, chocolatey mixture. Add the peppermint and stir in evenly. 5. Line a small baking sheet with parchment paper. We used a 9×9 baking sheet. Pour the mixture into the parchment paper and try to spread out evenly. 6. You’ll need to let the chocolate cool down slightly. Place in the fridge for around 5-10 minutes. You don’t want the chocolate to completely solidify yet though! So, keep an eye on it. You’ll want the surface to be a little bit soft, so that the toppings will stick to the chocolate. 7. Sprinkle the toppings over top of the chocolate. You can gently press them into the surface. 8. Place back in the fridge to solidify. The chocolate should be ready to go within 30 minutes. But you can refrigerate it for several hours to make sure it’s really hard. 9. Break into pieces when ready to serve.